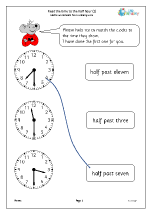 Other periods of time also need to be understood such as: morning, afternoon, evening, night, midday, midnight, weekend, yesterday and tomorrow. 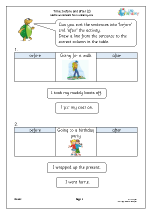 Asking children when certain activities happen e.g. 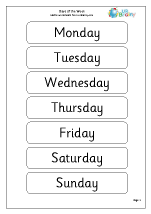 when do we eat breakfast, when do we come home from school helps with this. 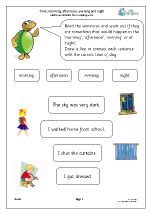 Before and after, now, soon, early, late. 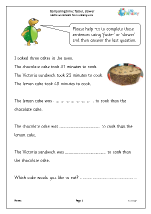 Other terms need to be understood, such as always, never, often, sometimes, usually as well as comparatives such as faster and slower. 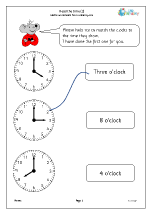 Perhaps the key outcome in Year 1 is to learn to tell the time to the hour and to the half hour on an analogue clock. 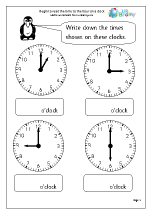 Plenty of practical work is needed here and one of the best resources is a large clock face where the hands can be moved round to show different times. 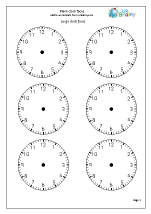 Don’t be tempted to jump straight in with digital clocks as the analogue face is a great way to show the time moving. 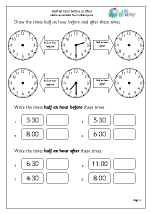 Children should also be gaining an understanding about how long periods of time are. 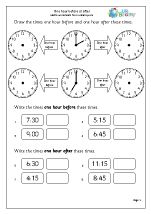 What can they do in a given time, measured in seconds or minutes or hours? 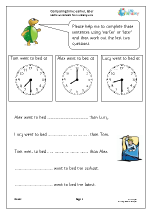 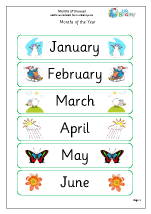 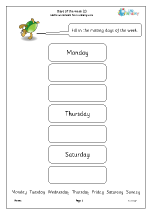 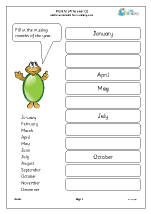 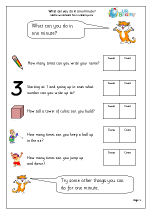 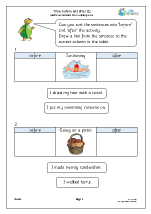 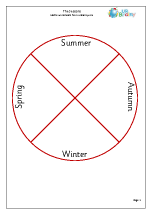 We have plenty of worksheets for helping with telling the time to the hour and half hour as well as pages on days of the week and months of the year. 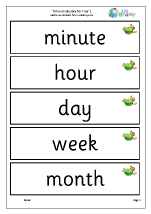 One of my favourite pages is the ‘One minute’ page, which sets various tasks taking one minute each. 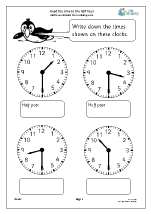 Learning to tell the time should be fun!